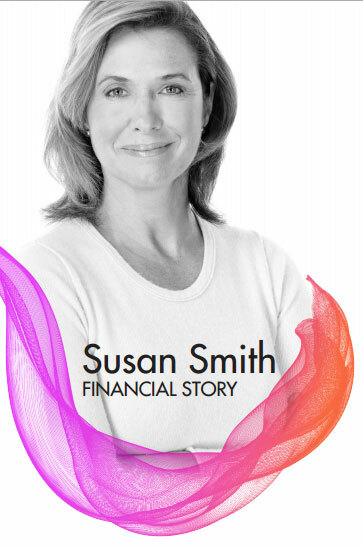 My name is Susan Smith, and I am 60 years of age. I am writing to share my story in hopes that my experience can help others avoid the same financial mistakes I made in the past. In 2000, my husband passed away quite unexpectedly. We were best friends and did everything together, and I believed we would be together forever. This was a very emotional time for me, yet there was so much that needed to be handled. Many of these items came as quite a surprise to me as my husband had always handled most of our affairs. I felt really overwhelmed and lost, and honestly, I did not even know where to begin. It was almost as if I did not know what I did not know. I became very reactive for a period of time – only dealing with the most pressing issues as they came to my attention. With all of this going on, I barely managed to get through one day at a time. It took several months for me to realize that I was now on my own. The harsh reality was that I had to step up and take responsible action for my future. It simply was not going to be the way I had once dreamed. I had to change my mindset, or I’d end up in dire straits, becoming a burden to my family. That was the last thing I wanted. While my husband was alive, he made the majority of our financial decisions. He met with our broker. He decided how we would allocate our income. And, he decided how much we would save for retirement and how it would be invested. Although my husband did the best he could for us, this was now difficult for me because it really did not dawn on me until I got a couple of statements from our broker. When the first statement came, I looked at it but took no action. It appeared that my account lost 30 percent of its value. When I received the second statement in the mail, my daughter was at my house. I explained to her that I was overwhelmed with my whole financial situation, and it was easier just to avoid dealing with it. That was a difficult pill for her to swallow, as she is in the financial services field and had no idea that there was a potential issue. She opened the statement, reviewed it and assured me that the situation could not go unattended any longer. We sat down that very evening and went through all of my finances. What she discovered was quite shocking to us both – 95 percent of my retirement nest egg was in extremely risky investments. Since I was retired and counting on this nest egg to provide 60 percent of my retirement income, this was a very scary realization. With her assistance, I was able to obtain proper allocation with regard to my assets. We transferred a large portion to safe vehicles that offered a variety of guarantees. This safety net allowed me to maintain the lifestyle I wanted without worrying endlessly about what tomorrow may bring. I hope you will take some advice away from my story. If you are married, I strongly encourage you to stay involved with all aspects of your life, especially your finances. Have a very good understanding of what bills you need to pay, when you need to pay them, what accounts you have, where they are, who the primary contact is for each account, and what needs to occur should something happen to your spouse. If you are single, I encourage you to face your financial situation head on. Find the right advisor to work with – one that truly understands you, your situation and your goals. It is important that you feel they take the time to listen to you and explain things in such a manner you can understand. I was extremely fortunate to have a daughter who could assist me. I encourage you to develop the confidence and knowledge you need to make independent financial decisions that positively affect your financial future.